Donald Cerrone working the high kick, while Conor McGregor works his trash talk. ‘The Notorious’ is prepared to kill Jose Aldo…. It hasn’t exactly been a crazy week for fans of mixed martial arts, but it’s fine, we are now only two weeks away from the blockbuster UFC 194 event. Conor McGregor and Jose Aldo will face off on the December 12 pay-per-view card, in a bout that’s been over a year in the making. Also in December we have Donald Cerrone’s attempt at championship glory as he takes on Rafael dos Anjos in the UFC on FOX main event on December 19. 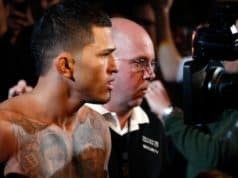 The first fight was a one sided decision win for dos Anjos, ‘Cowboy’ has remained unbeaten since then. 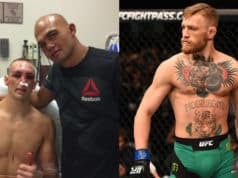 Back to McGregor and Aldo, there’s been a ton of hype, trash talk and confrontations leading up to their UFC 194 collision, and it was amplified after ‘Scarface’ was unable to make their originally scheduled bout at UFC 189. As a result of the infamous rib injury the Brazilian champ suffered, ‘The Notorious’ fought for and won the interim strap against late replacement Chad Mendes. 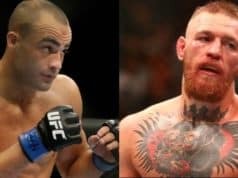 There’s probably no need for any more fuel to be added to the flames behind Aldo and McGregor’s rivalry, but as you’ll soon find out, the Irish phenom is only too willing to get as much heat going as possible. 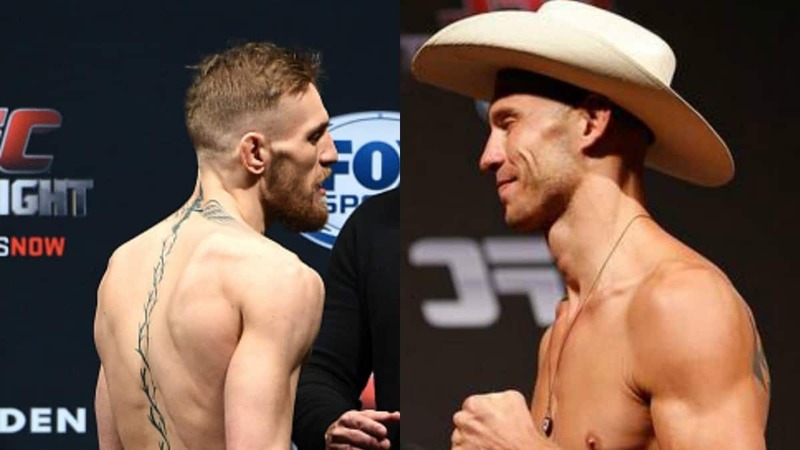 Check out Donald Cerrone high kicking Mac from ‘it’s always sunny in Philadelphia,’ and Skip to page 2 to hear Conor McGregor’s latest controversial comments….